I remember the first time I talked on a cell phone. It was a strange apparatus that you had to carry in a bag. It was HUGE! Yes it was "mobile", but it wasn't very convenient. I also remember watching one of my favorite shows on Saturday morning and thinking how cool it would be to have a "Zach Morris Phone". You may remember those, or at least seen them in a museum somewhere. The phones that were as big a a brick and had a hard rubber antenna. Yeah, they were "super portable" and had "great reception." All you could do was make a call. No texting, no internet, no camera, NOTHING! Could you imagine, even if with all the technology we have around us today that someone would think that this was still the best way to make a phone call? I recently saw an episode of Restaurant Impossible with chef Robert Irvine where he was working with a failing restaurant that hadn't changed its recipes in over 12 years. All of the customers were commenting that the food was bland and didn't have any flavor, but the owner stood by his recipes and thought everyone else was wrong. Until, however, they did a blind taste test and his food lost 2 to 1. He then realized that he needed to update what was doing and step into modern cuisine. OK. One last analogy. Recently, God has given us the opportunity to encourage kids who are fighting life threatening diseases by going to the hospital and singing with them. It is amazing to see all the machines and tubes and hear about all the medical treatments that these brave little fighters have to endure. Today, doctors know how to fight diseases, how medicines work and react with the body and what the best line of treatment is. It is amazing to think that not that long ago doctors would use leaches to treat a headache or ear infections or even give someone heroin to calm their cough or even use electric shock to try to make someone taller. To me, that kind of medical treatment sounds crazy today, especially with all the advancements in science and technology we have seen. When you look back on cell phone technology, cooking techniques and medical practices you can see where they started and where they are now. We couldn't have the modern, new-fangled machines or technology without having the old-school, "out of date" building blocks. We had to start somewhere. 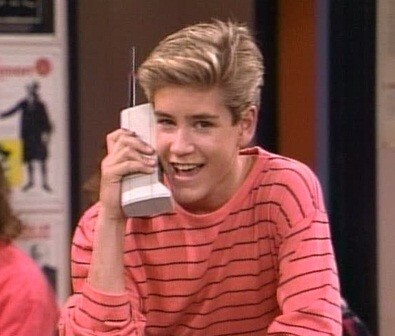 The modern cell phone is still based on the Zach Morris relic. Advances in medicine have brought us past the crazy things they used to do, but they were all a step toward where we are today. There was a beginning, which led us to where we are now, and someday people will look back at todays technology and wonder why we did things so weird and "old school." Now, let's apply this line of thinking to our modern church service. There is a lot of debate today about "Modern" or "Contemporary" worship vs. "Traditional" worship. It seems that there is a constant struggle between which one is "better" or which one is more "Biblical" or even which one Jesus himself would have preferred. Here is my two cents. We can't go forward without remembering the past. Our modern worship songs are based on the concepts of the "old school" hymns. We wouldn't be where we are today without someone in the past pushing the boundaries of musicality or trying something new. So when it comes to "Contemporary" vs. "Traditional" I say YES to both! Let's mix it up! They can coexist! We can't have the new without the old. We can't forget where we have come from but we can look ahead and continue to improve and grow. Let's not make this about who is right and who is wrong, let's work together, try to understand each other and grow a healthy community! These are my thoughts. I'd love to hear yours! Feel free to post them here in the comments or on our FB page JustinGravesBand. Thanks so much and Keep Rockin!